The Royal Guest House (part of the River Hotel Group) is an elegant 12 bedroomed guest house in a holiday town in South Africa. Like the majority of guesthouses of its size, they used comment cards for guests to give them feedback – all of which ended up being filed and put away. GuestRevu has helped the guest house, and the River Hotel Group in general, to automate their guest feedback, and make it central to the management of their property. The easier it is for a guest to give you feedback, the more likely they are to do so. But for The Royal Guest House, guests either filled out their comment cards, or they didn't. "There was no culture of actively asking for feedback," General Manager, Bianca Grobbelaar, explains. This left it up to the guest to make all of the effort, while never truly seeing what came of any comments that they made. While Bianca and her team were collecting comment cards and monitoring review websites to keep track of online reviews, they were finding it difficult to learn about the positive side to their guests' stays. As Bianca says: "You run the risk of only hearing the bad bits and you actually miss out on [hearing from] the people that just had a good time, and still have so much valuable input”"
Like the majority of guesthouses of its size, The Royal Guest House had comment cards for guests to fill out in their rooms and reception – all of which ended up being filed and put away. One of the biggest challenges consistently faced by Bianca as a manager was how to consolidate all of the feedback into a format that she could manage and monitor without adding to an already growing paper trail. "You get no monthly report, no trends, no options to compare results, no filtering," Bianca explains. With GuestRevu's help, The Royal Guest House have become committed to forming a better relationship with their guests by encouraging feedback, and are able to analyse the more detailed feedback that they receive with ease thanks to customisable reporting. "Automating the guest feedback process was a revelation for the team," Bianca explains. Since The Royal Guest House is small, many of the staff members have almost personal relationships with a lot of their guests, especially those that return for another visit. "They found guests much more comfortable giving honest and detailed feedback when offered the chance to fill out an online survey that is emailed to them after checkout. They can fill it out in their own time and without having to worry about any confrontation with staff they feel they know well." With more detailed feedback, Bianca is finding that she's able to pinpoint not only areas that need improvement, but areas that the guesthouse is succeeding in as well. "“You know where to spend your budget, you know where to focus training, you know where to motivate staff or where to paint," Bianca explains. "There is nothing worse than hearing from someone who heard from someone else that a guest was unhappy. Now you have the opportunity to be the first to learn of it and the first to respond." Comment cards that were simply being filed away without analysis is no longer a problem for Bianca, who has realised that the instant notifications and reports that she gets from GuestRevu are "the only way forward" for organisation and prioritisation. 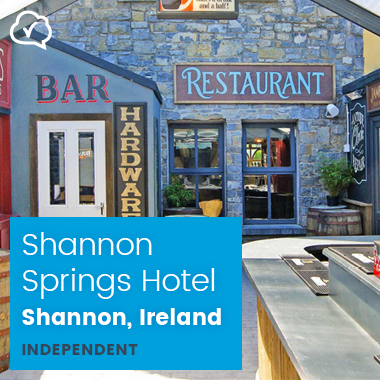 "The automated invitations mean there is contact with each and every guest after checkout with no input from me," says Bianca, "and, when dealing with responses, alert notifications ensure that unhappy guests are always prioritised, and at the click of a button a guest’s response details and history can be accessed." The reporting looks great and really conveys a great deal of relevant detail to superiors when reporting at the end of the month. The more information you have the easier it is to put issues that come up into perspective. There are so many other benefits from it, like being able to accurately assign budget to areas that need improvement and see immediate results. 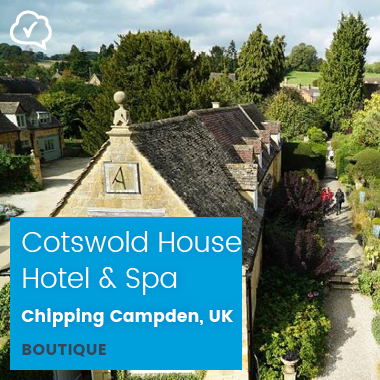 With the help of guest feedback questionnaires, Cotswold House is receiving valuable, actionable insights, and is able to provide guests with the information, service and assistance that they need.